Very little has been done concerning mass education since it was introduced for working class children in developing and poor countries. Bowles and Gintis (1976) warned us that schools reproduce the status quo. When developed nations plan they plan for the middle class because the middle class are in the majority. Developing countries, following this model also plan for the middle class but the majority of children in developing countries are working class. This action further marginalises the working class. Whilst this paper is contradictory in suggesting a first world inclusive education model I am of the view that you cannot throw the baby out with the bathwater. There is enormous merit in following the inclusion model since it holds promise for working class children and vulnerable children who constitute the majority population in developing countries schooling systems. Developing countries should plan on the basis of the specificities of their contexts and continue to refine theories and models with a view to ensuring that more children graduate from school. Working class children will struggle in the contemporary world because of the politicisation of education which results in a performative culture. With the Neo-Liberal paradigm, working class children run the risk of remaining in the margins of society. Modern day bureaucracies are victims of the performance culture that is promoted by the World Bank other supra national organisations. Ainscow,M.,T.Booth, and A.Dyson. 2006. Inclusion and the standards agenda: Negotiating policy pressures in England. International Journal of Inclusive Education 10, nos. 4–5: 295–308. Government of Botswana. (1977). National policy on education. Armstrong, F., Armstrong, D. and Barton, L. (2000). Inclusive Education: Policies, Contects and Comparative Perspectives. London: David Fulton Publishers. Government of Botswana. (1993). National commission on education. Gaborone, Botswana: Government Printers. Government of Swaziland. 2006–2010. National Plan of Action (NPA) for Orphans and Vulnerable Children (OVC) for 2006–2010. Hodgkinson, A. (2016). Key Issues in Special Educational Needs and Inclusion. London: Sage Publications Ltd.
	Kisanji, Joseph. (1995). Attitudes and beliefs about disability in Tanzania. In O' Toole, B. and McConkey, R. (Eds.). Innovations in Developing Countries for People with Disabilities. Whittle-le-Woods, Chorley: Lisieux Hall Publications in association with Associazione Italiana Amici di Raoul Follereau, pp. 51-70. Kisanji, Joseph. (1998). Culture and disability: An analysis of Inclusive Education based on African folklore. Paper prepared for the International Journal of Disability Development. MoEVT (Ministry of Education and Vocational Training). 2013. Inclusive and Learner Friendly Education Policy.Zanzibar. MoEVT (Ministry of Education and Vocational Training). 2013/2014. Budget Speech 2013/2014. Accessed January 2, 2014. http://moez.go.tz/docs/3sEBNAyM5H2013- 2014.pdf. Norwich, B. (2013). Addressing Tensions and Dilemmas in Inclusive Education. Oxon: Routledge. Otlhogile, B. (1998). Educating the disabled in Botswana implications for the government: Key address. In C. O. Abosi, K. Didimalang & P. O. Nwaugo (Eds. ), Issues and access and opportunity to basic education for disabled children in Botswana. Gaborone: Botswana Council for the Disabled. Pather & C. P. Nxumalo (2012): Challenging understandings of inclusive education policy development in Southern Africa through comparative reflection, International doi: 10.1111/j.1471-3802.2010.01174. Singal, N. (2005). Mapping the field of inclusive education: A review of Indian literature. International Journal of Inclusive Education, 9, 331-350. Tirussew, T. (1999). ‘Inclusion of Children with disabilities in regular schools: challenges and opportunities’. The Ethiopian Journal of Education, Vol XIX.Addis Abba University press. NAICKER, SIGAMONEY. Towards an inclusive pedagogy in South Africa. 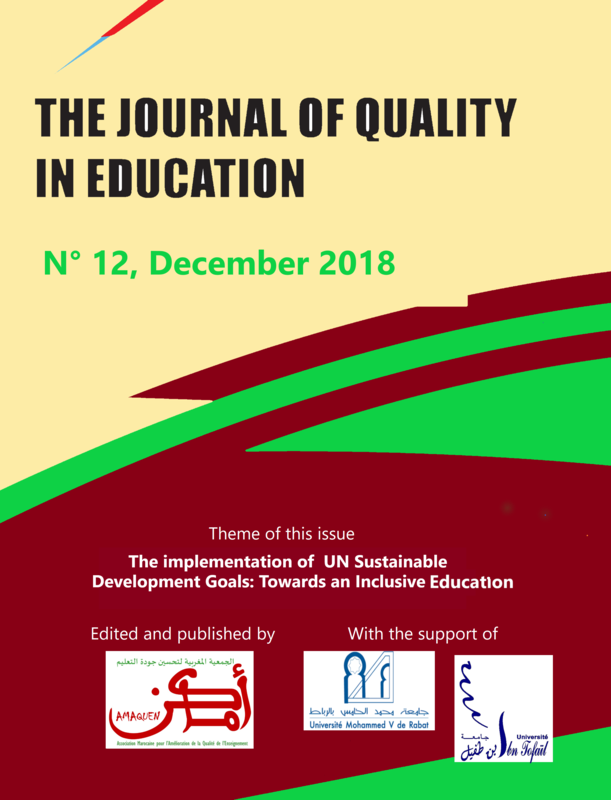 The Journal of Quality in Education, [S.l. ], v. 8, n. 12, p. 9, dec. 2018. ISSN 2028-1897. Available at: <http://journal.amaquen.org/index.php/joqie/article/view/172>. Date accessed: 20 apr. 2019.